After completing his undergraduate degree in Chemistry and Russian Literature at Columbia University, Dr. Buffo attended the SUNY at Stony Brook for medical school and residency training. He has practiced in the Hartford, CT community for the last 26 years and in the last 3 years pursued an earnest interest in Ayurvedic Medicine. He has been formalizing his training at Kripalu School of Ayurvedic and has had the opportunity to study under such Ayurvedic luminaries as Drs. Vasant Lad, John Douillard, and Scott Blossom. His recent transition from full time practice has led him to an academic appointment at the University of Hartford where he is a member of their Heath Sciences Department. There he is introducing Ayurveda to the undergraduate curriculum, encouraging students to integrate the best of both worlds. 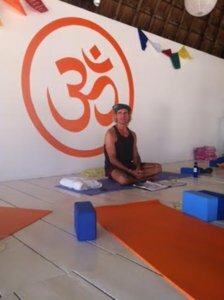 Gerard is part of the faculty of the Ananda Bliss Teacher Training.